The Challenge Program, Inc. TCP Founder Inducted into Military Hall of Fame - The Challenge Program, Inc.
Daniel T. Perkins, U.S. Marine Corps veteran, founder of The Challenge Program, Inc. and Chairman of the Board, was inducted into the Military Hall of Fame at the Cambria County War Memorial, on Saturday, August 19, 2017. 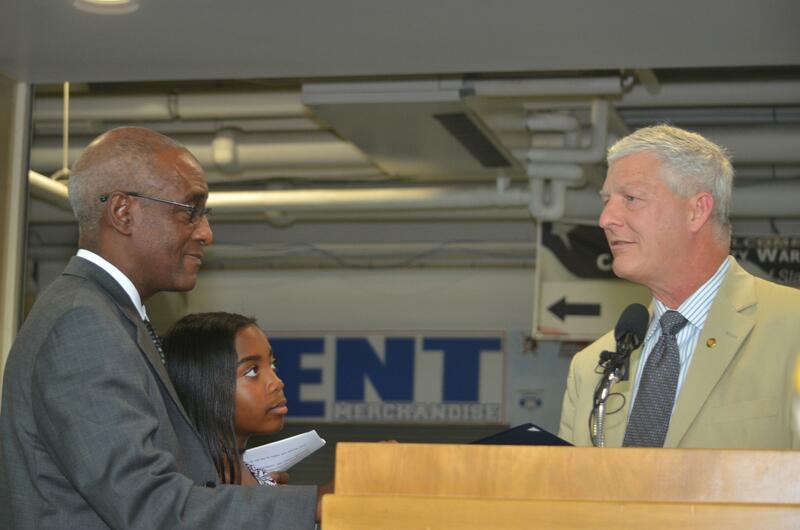 The honor was presented to Mr. Perkins by Pennsylvania Representative Bryan Barbin. Dan humbly accepted the award, accompanied by his daughter, Katelyn. Mr. Perkins was inducted for his service to his country and for bringing recognition to Cambria County for the founding of a multi-state program encouraging and motivating students to reach, achieve and believe. The Program connects students with regional businesses to further their career-readiness and bring awareness of employment opportunities in their own communities. Since 2003, the Program has reached more than 500,000 students and presented more than $3 million in awards. Mr. Perkins is among nine distinguished veterans who were nominated by the Cambria County War Memorial Veterans Committee for 2017. Of the nine inducted, he is one of the two living inductees along with Richard Verma, the 25th Ambassador to India. Both Mr. Verma and Mr. Perkins at some time in their lives worked for and were mentored and inspired by Congressman John Murtha. Thank you, to all who serve.